Our favourite part of weddings is not only the LOVE and emotion but the speeches it gives us the opportunity to capture some really awesome expressions, and remember what was going on during the toasts! We've even been at a wedding where they had Toast for the Toast! Mr & Mrs Johnson were married in South Darenth Church, Dartford,, followed by confetti & then onto Elite Venue, Gravesend. Shorter coverage for weddings / elopements. This is often for couples who require limited time wedding photography for only 2 or 3 hours. It’s ideal for couples who are on a lower budget, or don’t see wedding day photography as such a big deal, or if they want just certain events documenting. Your beautiful photographs will be supplied via an online gallery including a license for print & sharing. Our short coverage option typically costs £150 for 1 hour and includes a minimum of 50 images captured in our natural documentary style. Full day packages are seven hours of documentary style coverage capturing your day as it unfolds. We’ll be capturing moments from when we arrive during bridal preparations - setting the scene, the walk down the aisle, your first kiss as a married couple (cue the ahh’s), some formal portraits (Grandparents LOVE these for the mantle piece), until your first dance (time permitting). Images will tell your story from beginning until after your first dance, ready in time for the crazy dancing to start. You’ll receive this in your dedicated online gallery ready to print, and share with your friends and family. Our Full Day option is priced from £800. Mr & Mrs Stubbs tied the knot during a Twilight Wedding on New Years Eve at St Augustines, Westgate on Sea, Kent. Mr & Mrs O’Connor were married at Salmestone Grange Chapel, then onto Botany Bay Hotel for a beautiful wedding reception. Our Full Day Premium package provides not one but two photographers!! - This means that no fun is missed and no story left untold. You’ll get 7 hours of documentary style coverage - The preparations to set the scene, the walk (or run) down the aisle, that first kiss as hitched (eek! ), some formal portraits (you know, for the ‘rents! ), those random funny stories told throughout your canapé hour, the speeches, the toast (we’ve even had real toast, at a toast!) all the way through til your first dance. 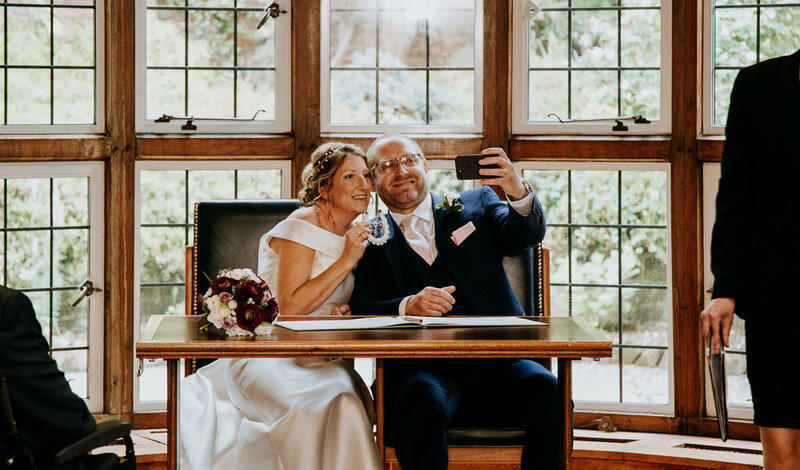 You’ll receive your story told from beginning until after your first dance in your dedicated online gallery ready to share with your family and friends, and beautifully presented in a bespoke wooden USB box including 20 postcard sized prints. Our Full Day Premium option is from £1200.